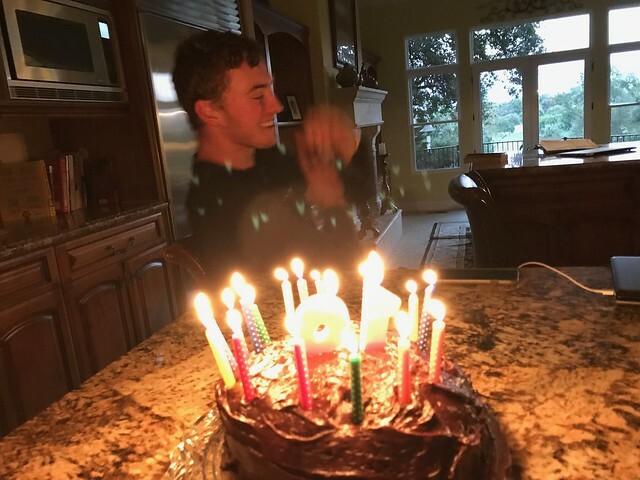 With the three of us scheduled to fly to Washington DC early Sunday morning, Sharon, Jack and I had a small early birthday celebration for Jack. We barbecued hamburgers and corn. Sharon made a yellow cake with chocolate frosting. Afterwards, we watched the junior middleweight Mayweather versus McGregor fight. I was pleasantly surprised that fight went 10 rounds. Overall, the fight was reasonably watchable... I had never paid for a pay-per-view fight before.